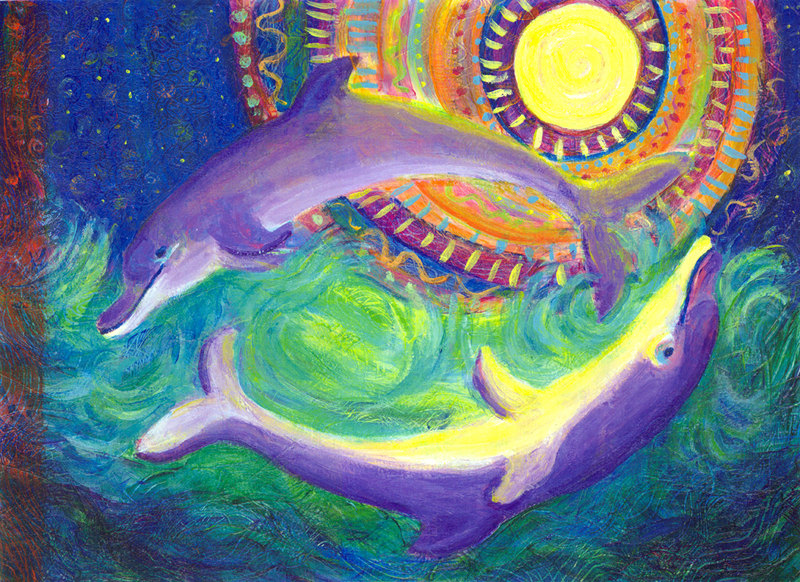 I’ve just completed painting Two Dolphins in the Moonlight for my Heni’s Happy Paintings Etsy shop. Many years ago I did a watercolor painting of four dolphins playing in the full moonlit sea that I gave to my twin sister. She still has it hanging in her home. Now that I’m doing acrylic paintings, I thought it might be fun to try a new moonlit dolphin scene. Last week I was going back and forth with a woman who really liked one of my double fish prints but wanted a custom ordered size, which led me to think about painting a double dolphin scene. I combined those two ideas and and this painting is the result. It was fun to use lots of bright colors contrasting with the darks of the ocean and sky. 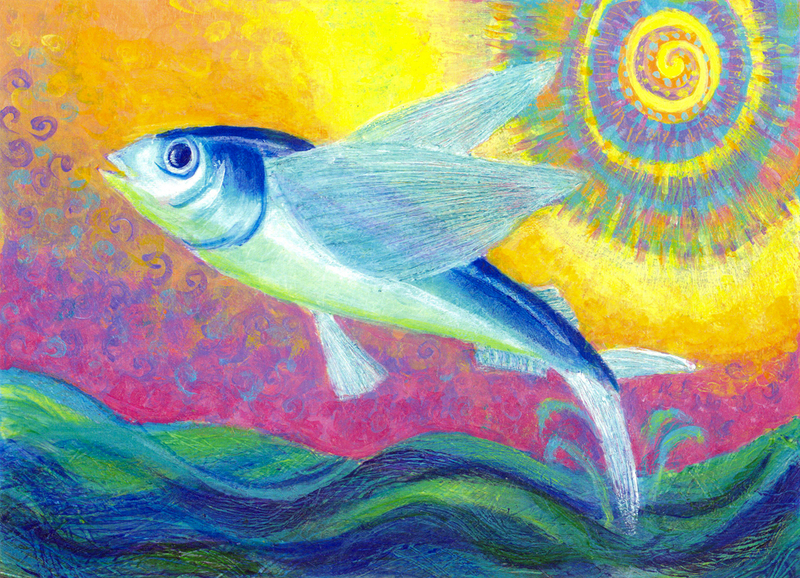 I want to continue along this whimsical path, tomorrow I plan to start a flying fish painting. We’ll see how that goes.